Games continue and the teams are coming along nicely! Thanks to the coaches for working so hard with the teams. Last night our U15 boys and girls travelled to CDIS and represented Leman well. 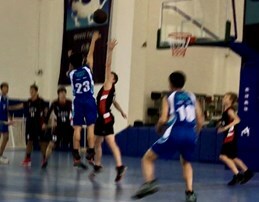 The girls won in two sets and the boys won in 3 sets, while at Leman we hosted the U19 boys Basketball. The boys struggled in the first half and started to pull it together in the second. All our teams are progressing well and are in line for having good seasons. ADI SPORTS WILL CONTINUE THIS SATURDAY… This is the last Saturday!!!!!!! !